Emily’s practice encompasses a broad range of chancery and commercial work. She is particularly experienced in both the litigation and advisory sides of the law relating to pension schemes, trusts, estates and taxation. Whilst her practice has an emphasis on matters involving complex technical issues, such as those with a significant actuarial or mathematical content, she has a reputation for giving clear, practical and commercial advice and being very user-friendly. Emily has a working knowledge of German. She is a member of the Institute of Mathematics and its Applications. 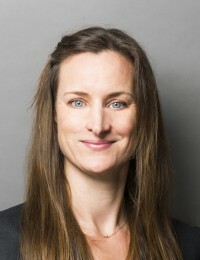 On the pensions side, Emily has significant experience of pensions litigation (including regulatory work, professional negligence and rectification claims) and she regularly advises on issues including scheme funding, the scope of powers in pension schemes and the effect of mistakes in pension scheme documents. Complementing her pensions practice, Emily has a broad private client practice. She acts in a range of contentious and non-contentious trust and estate litigation, including cases with a foreign element. She advises on a wide range of issues with an emphasis on private wealth planning, tax and the drafting of trust documentation. (The Legal 500 2017), Trusts (Chambers & Partners 2018) and Chancery: Traditional (Chambers & Partners 2018). Emily was ACTAPS Contentious Barrister of the Year 2014. The Chambers & Partners 2018 edition describes her as “very intelligent, and her work is always well considered, detailed and comprehensive”; “she is excellent on very technical issues, great at working to deadlines, her advice is very robust when needed and she has a good advocacy style”. “Extremely practical, succinct in her advice and a pleasure to work with”, the guide also notes that she “really knows all the intricacies of the law and has a good grasp of many subjects”. “She is extremely bright and very hard-working.” The Legal 500 2017 edition says Emily has “a first-class mind with considerable grasp of technical complexities”. Furthermore, “she is very committed to finding the right legal answer and arguing her client’s case”. Emily has written numerous articles in legal publications. A first-class mind with considerable grasp of technical complexities.